Statement of the State of Kuwait at the 47th session of the Preparatory Commission. 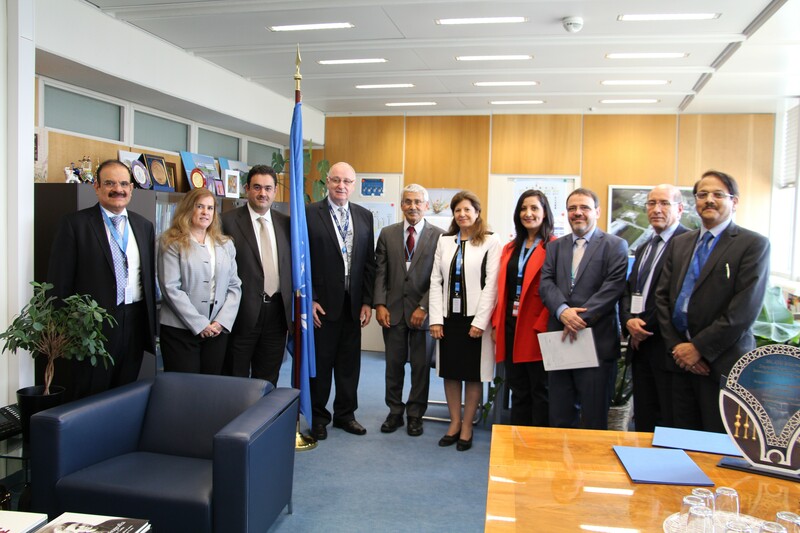 Jaber Al-Ahmad Al-Sabah Molecular Imaging Center (JAC), one of the centers of the Kuwait Foundation for the Advancement of Sciences’ (KFAS), signed an executive agreement on the 26 September 2016 with the International Atomic Energy Agency (IAEA) in Vienna to strengthen cooperation between the two parties in the field of peaceful nuclear use, particularly in the field of nuclear medicine. The agreement was signed on the sidelines of the 60th session of the IAEA General Conference, by Dr Adnan Shihabuddin, KFAS Director General, and Aldo Malavasi, IAEA Deputy Director General of the Department of Nuclear Sciences and Applications. Dr Shihabuddin announced that this agreement was the first with the IAEA in the field of nuclear medicine and pointed out that it materialized as a result of hard work and intensive coordination with the agency in the past few months to adopt a mechanism of mutual cooperation in the field of nuclear medicine. Kuwait hosted a symposium on "Nuclear Applications for Sustainable Development in GCC Member States"
The state of Kuwait has hosted a symposium held by the International Atomic Energy Agency (IAEA) on "Nuclear Applications for Sustainable Development in GCC Member States", which took place on the 15 to 16 February 2016. Kuwait’s Ambassador to Austria and Permanent Representative to the International Organizations Sadiq Marafi, announced the participation of the Director-General of the International Atomic Energy Agency Yukiya Amano.